Local Three is home to one of the largest and most diverse whiskey collections in the Southeast featuring more than 250 whiskies. Join us as we crack open our cellar for our monthly guided tasting series. 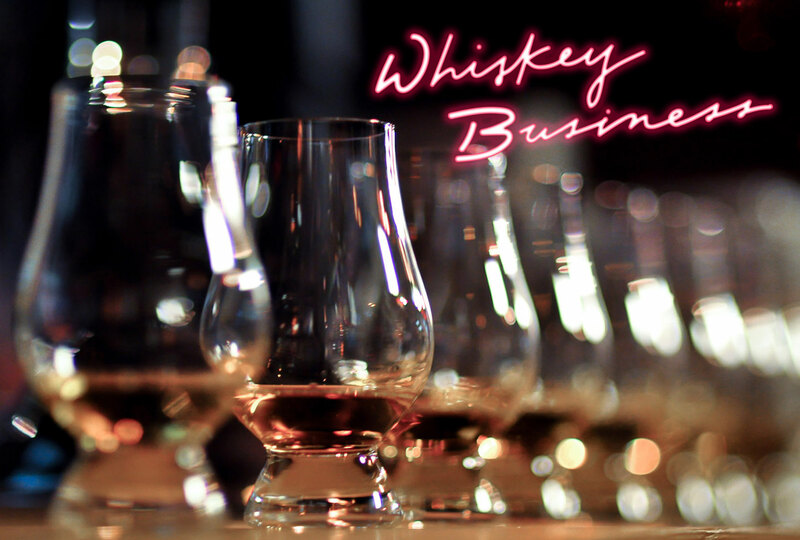 Sample whiskies from around the world and talk “whiskey business” with our “Whiskey Dude”, Randy Whisnant. Dive deeper with a selection of unique variations from brands you love. Make sure to check out the “Baller Tastings” to get your hands on some of our most rare and aged goods. Follow the ticket links below to reserve your seats! Old Forrester, owned by the bourbon powerhouse Brown Forman, is the longest running bourbon on the market today (approximately 148 years as of 2018) and was the first bourbon sold exclusively in sealed bottles. To celebrate their storied history, Master Distiller Chris Morrison decided to release three unique batches, each reflective of the style that would have been produced during some of the most significant time periods of the distillery. Bold and Daring, An American Enterprise. The company originally known as the “Old Heavenhill Springs” distillery was established in 1935 by a group of Bardstown-area investors and the five Shapira brothers at the height of the Great Depression. With no initial inventory and only a handful of knowledgeable employees, the distillery began as an incredibly risky start-up venture and proved to be a miraculously lucrative investment for the Shapiro family. Today, Heaven Hill is one of the largest independent, family-owned and operated distilleries in the country and the second largest holder of aging bourbon whiskey in the world with an inventory in excess of 1,300,000 barrels. Henry McKenna 10 Year, B.I.B. Our April ‘Redemption High Rye’ tasting has been cancelled. As the world’s third largest premium spirits company, Beam Suntory is Crafting the Spirits Brands that Stir the World. Owned by Suntory Holdings Limited, Beam Suntory has a dynamic portfolio with unparalleled expertise in whisky, including world leadership in Bourbon and Japanese Whisky. Shortly after Prohibition ended in the United States, Heaven Hill Distilleries, Inc., was founded in Bardstown, Kentucky by the Shapira family to produce and market Bourbon and premium American Whiskys. At the time, it was as speculative a new business venture as the dot com start-ups of the 1990’s – a company founded with no brands, no available stocks of Whisky, and at the height of the Great Depression. Today, the company is the largest independent, family-owned and operated distilled spirits supplier in the country. According to industry analysts, Heaven Hill is now the sixth-largest spirits supplier in the United States and second largest holder of aging Bourbon Whisky in the world with an inventory in excess of 1,500,000 barrels. Featuring whiskeys made and selected exclusively for us! Founded in 1997, Jefferson’s is the brainchild of Trey Zoeller and his father Chet, a famed bourbon historian. They were continuing a family tradition that goes back to Trey’s 8th generation grandmother who was arrested in 1799 for the “production and sales of spirituous liquors.” To personify the brand, they chose Thomas Jefferson—known for his curiosity and experimental spirit. This is a mindset to which Trey has dedicated himself, pushing the boundaries of the definition of bourbon. Upholding tradition, yet always discovering new possibilities. Creating very uncommon bourbon is a journey. Jefferson’s seeks out new and aged barrels of bourbon from established distilleries that have perfected their art over hundreds of years. Then they do some old-fashioned experimenting, building balance and adding complexity through different selection, agitation and environmental processes until they find the taste Jefferson’s is known for. High West Distillery was founded in 2006 by David Perkins and his wife, Jane. David, a former biochemist, was inspired to open his own distillery after seeing the parallels between the fermentation and distilling process and his own work in biochemistry during a trip to the Maker’s Mark Distillery in Loretto, Kentucky. In 2004, David and his family relocated to Park City, Utah to begin their new venture, where they began distilling in 2007. High West’s products  have received numerous accolades and awards. In 2016, Whiskey Advocate named High West it’s distillery of the year. Hillrock Estate Distillery is changing this. Our mission is to produce the finest hand-crafted spirits made with our own grain, floor malted, craft distilled in our copper pot still, aged in fine oak and hand bottled at our estate in the Hudson Valley Highlands. Crowned by a fine 1806 Georgian house built by a successful grain merchant and Revolutionary War Captain and meticulously restored to its original beauty, Hillrock Distillery overlooks our rolling barley fields and the distant Berkshire Mountains. Like our premier spirits, every detail refined, no expense spared, quality steeped in the tradition of 200 years of rich history. WhistlePig began when they purchased their farm in 2007. After a few years of deep consideration and personal reflection they committed themselves to crafting the world’s finest and most interesting Rye Whiskeys. With help from Master Distiller Dave Pickerell, WP discovered and purchased an incredible stock of 10 year old blending Whiskey in Canada that was being profoundly misused. That initial stock is what kicked off their grand adventure.